We manufacture a high quality range of Garden Accessories that are fabricated using best quality material which adds a grace and beauty to garden. Our offered range of these are crafted and by our expert specialist who are well aware and are highly knowledgeable in this stream. In order to withstand variations in various climates these are made by using stoneware and metal material that are sourced from our certified vendors of the industry. 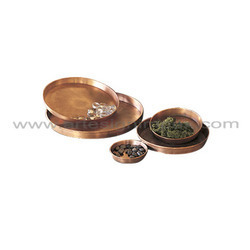 Our ranges of these accessories are highly acclaimed for its smooth and fine finish and resistant towards rust. These window planters offered by us are made to meet the requirements of plantation on the windows and grills by the corridors, which are beautifully designed to add a class to them. These are available in different shapes, sizes and designs from us which can also be modified in various dimensions as per the client’s choice. These are known for its durable enough for easy hanging, light weight, attractive design, and no bleeding. Our ranges of these planters can be used to increase the ambiance of entryways, windows and railings. We are offering to our valued customers a wide range of garden planters. which are widely demanded by many customers all across the globe. With the help of our close coordination with customers, we deliver these in innovative design that helps us towards meeting the specific order demands of our customers. 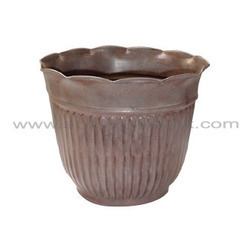 Our organization specializes in offering a wide range of scalloped garden planters to our clients. 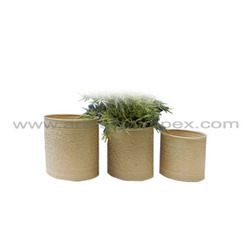 These planters are stringently tested by our highly skilled and experienced team. These are meant for the bigger plants and are ideally placed in the garden we manufacture these products in a wide range which can be availed at competitive prices. 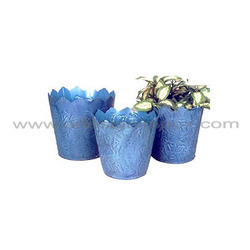 Our range of this product has planters that has a stand makes it look all the exotic. Our offered range of this water can is used for watering plants on gardens and on big lawns. 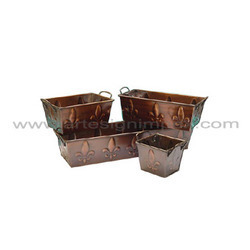 These are contrived using high quality iron material and had has highly designed by our experts with a handle and also with a perfect perforated spout which is also available in antique copper and patina. Clients can obtain these from us in different shapes, sizes and colors and we are also capable of making these as per the specifications and modify them as per their demands and choices. Our manufactured products are known for its light in weight and easy to handle. 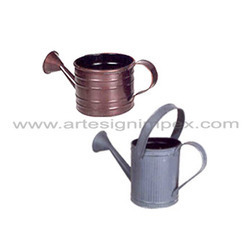 Our esteemed clients can avail from us an exclusive range of Water Buckets which are widely used in various gardens for watering grass and plants. 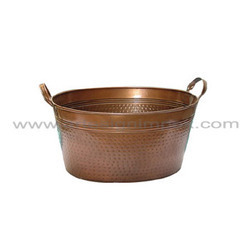 These buckets are developed under the strict supervision of our experienced professionals and are made from the finest quality high-grade raw material which makes it durable and last long. These are available in different dimensions, thickness, grades and hardness, which can be customized as per the client’s request. 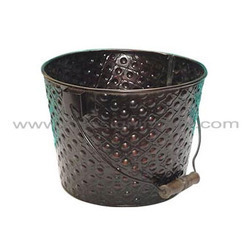 Our ranges of these buckets are appreciated for their quality attributes like dimensional accuracy, tensile strength, and excellent surface finish. Looking for Garden Accessories ?